Pool tables can be installed by the company or business where it was purchased, or you can choose to install it yourself. Installation involves carefully deciding where to place the table and then assembling the various pieces properly. Make arrangements to have the Brunswick pool table delivered to your home or transport it there yourself. 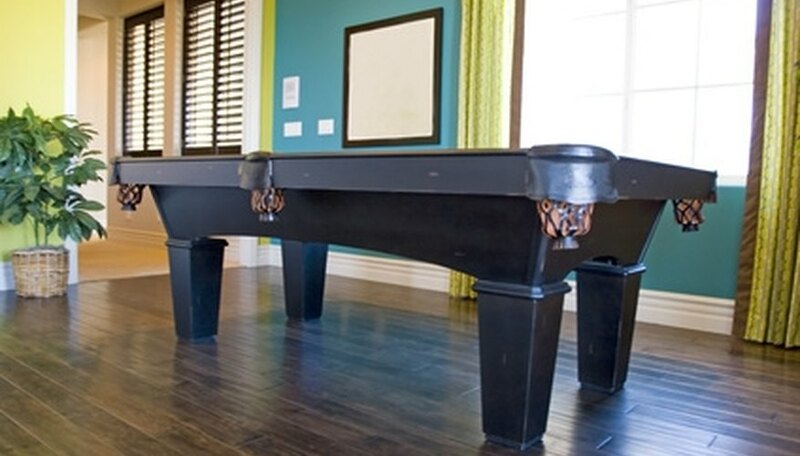 Decide where in your home you want to place the pool table. Move the pool table frame into the area where the pool table will be located. Attach the pool table legs to the frame. Place a lag bolt through the pool table leg and secure the nut using a wrench. Place the completed frame in the room where the pool table will sit. Set the slate on the pool table frame. Slate can come in two or three sections that need to be properly centered on the pool table frame. Use a power drill to secure the slate to the frame with slate screws. Attach the pool table cloth to the slate. Staple the cloth to the slate backing or use spray adhesive if there is no backing on the slate. Insert the pool table rails on each side of the table and secure them with rail bolts. Attach the pool table baskets to the table to complete the installation of the pool table. Secure the baskets to the rails by using a wrench to tighten a nut onto a bolt. Make sure the pool table is sitting square with the walls in your room. Use filler to fix cracks or chips in the slate. Make sure the slate is level before securing it to the frame. Consult a professional installer if you require assistance to install your pool table. Slate is very heavy, but it is brittle.